The East-West Center held a fund-raising show yesterday for Asian tsunami victims. 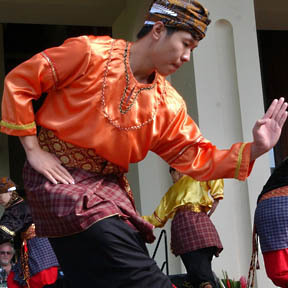 This group performed "randai," a Sumatran martial art based on dance and drama. »Is bankruptcy needed to assure air rivalry?